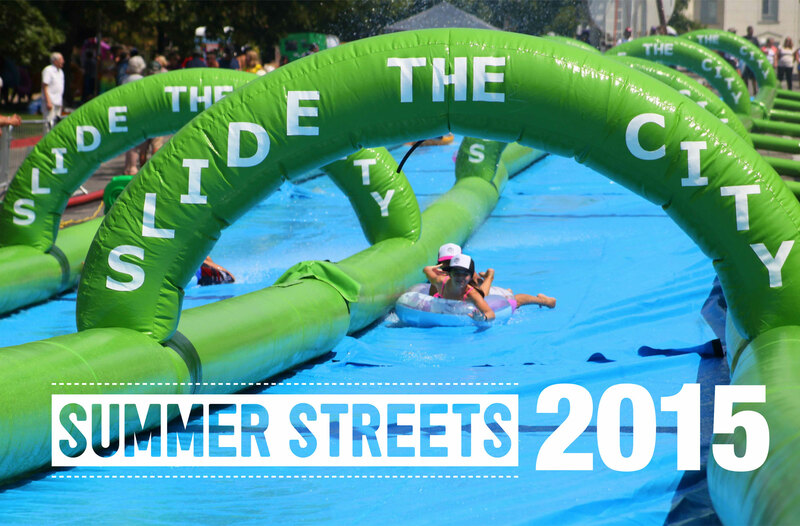 In a blatant attempt to please fun-loving New Yorkers, the city’s Department of Transportation has announced that a massive Slip ‘N Slide will be part of this year’s Summer Streets program. 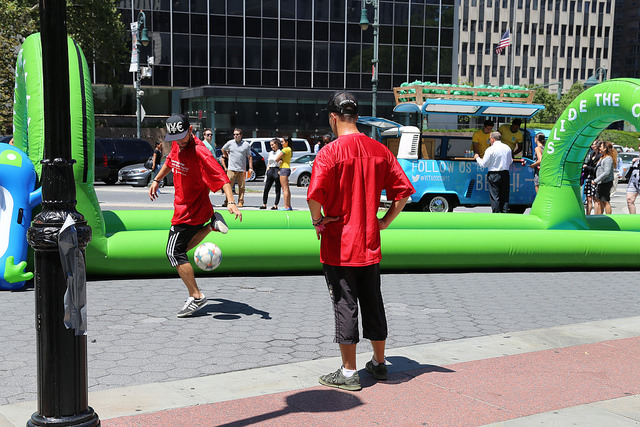 The annual free event turns over Park Avenue, from the Brooklyn Bridge to Central Park, to pedestrians, cyclists, and now childhood attractions. 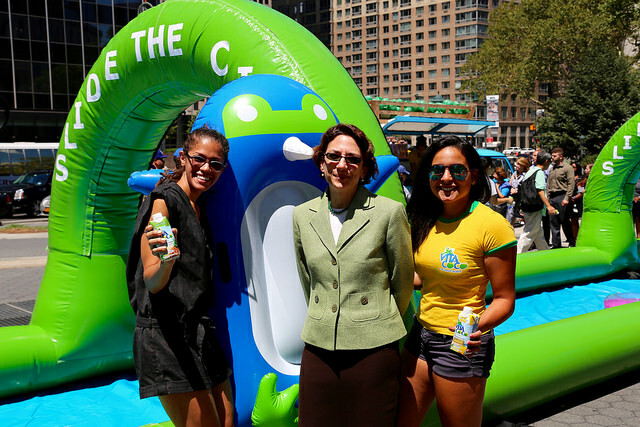 Slide the City will be stationed at Foley Square in Lower Manhattan as part of a faux-beach orchestrated by Vita Coconut Water. The slide will stretch all of 270 feet, which makes it a pretty long slide, but is it long enough for New York? 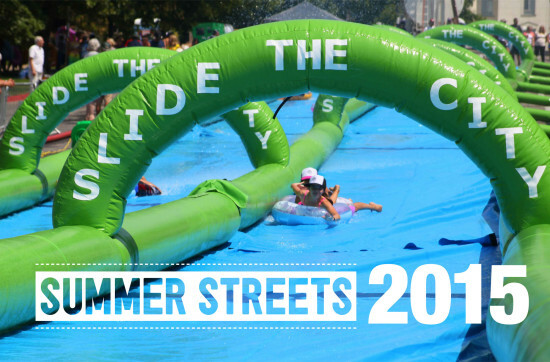 Probably not considering when Slide the City arrived in Salt Lake City last year it was a full 1,000 feet—four times longer than what New York’s getting next month. 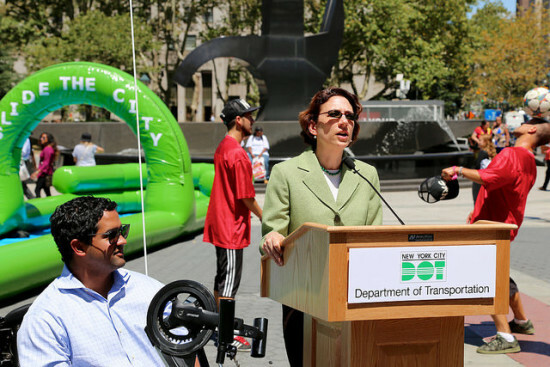 A 270-foot slide is better than a zero-foot slide, sure, but come on Mr. Mayor, what gives? 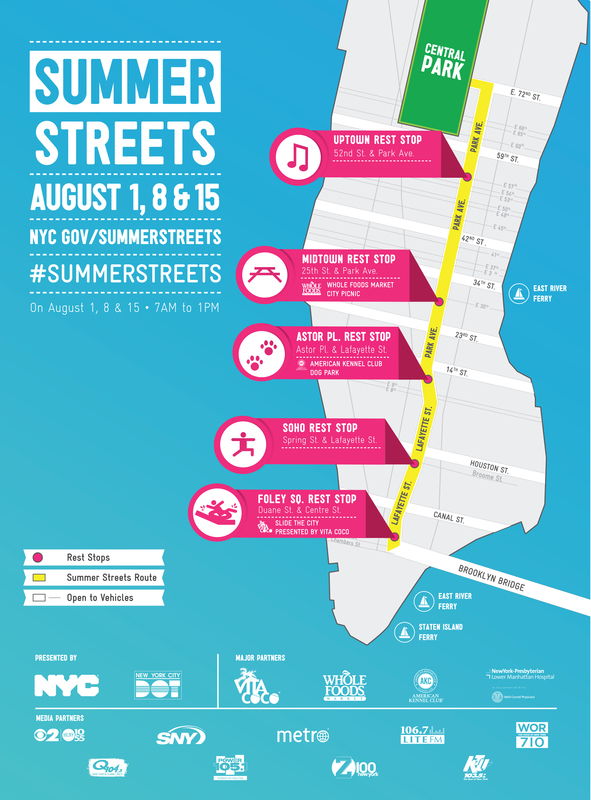 But Summer Streets isn’t only about moderately-sized giant water slides. 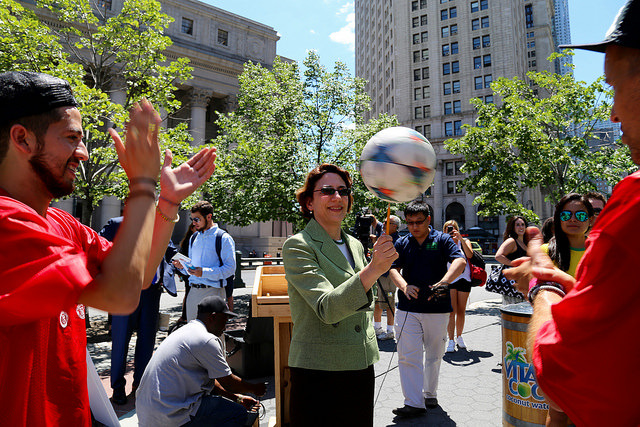 This year, the DOT also teamed up with Culture NOW to create self-guided public art and architecture tours. 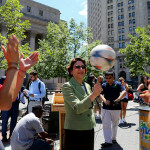 And if for some reason water slides and architecture tours aren’t your thing, you can busy yourself with soccer events, a zip line, parkour training, arts and crafts workshops, and postcard decorating. Three weekend of Summer Streets are planned on August 1, 8, and 15. Check out the video below if you want to see countless Utahns sliding down their 1,000-foot-long slide, waving their selfie sticks with reckless abandon.